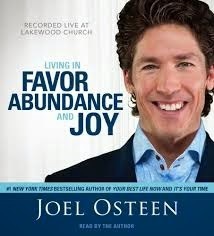 I was perusing Joel Osteen book. I know I read it a considerable measure of times. However it doesn't soak in. He recounted a tale around a man taking a gander at a flawless house spotted in a slope with rich greens in beautiful, tranquil setting. The man let himself know "I can't even envision living in a spot like that". In that spot something inside him told "Don't stress you will never live in a spot like that". On the off chance that we never imagine it within, it will never happen. We generally put ourselves in a safe position. We generally think, "I can't do that, this is just what I can do", "This is just what I know", "This is just what I can get", "I'd been wiped out entire my life, I'm not going to show signs of improvement". This is the way we think. We restrain our vision, we constrain ourselves. God needs us to have a superior life, superior to what we envision. I simply needed to impart what I am thinking at this time. Possibly this is the motivation behind why we don't get what we need. Why we can't push ahead. Since that is the way we see ourselves.